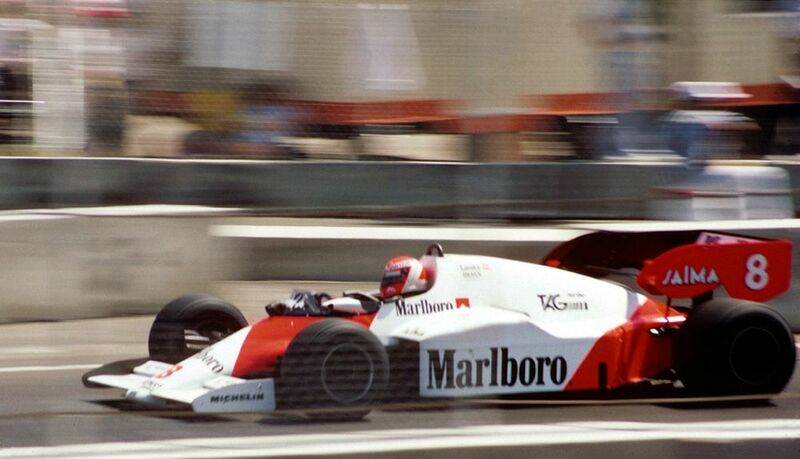 The two McLaren drivers of Alain Prost and Niki Lauda did battle for the championship at Estoril. If Prost won, Lauda needed to finish second to win the title and with Prost starting second and Lauda 11th, that looked like a tall ask. 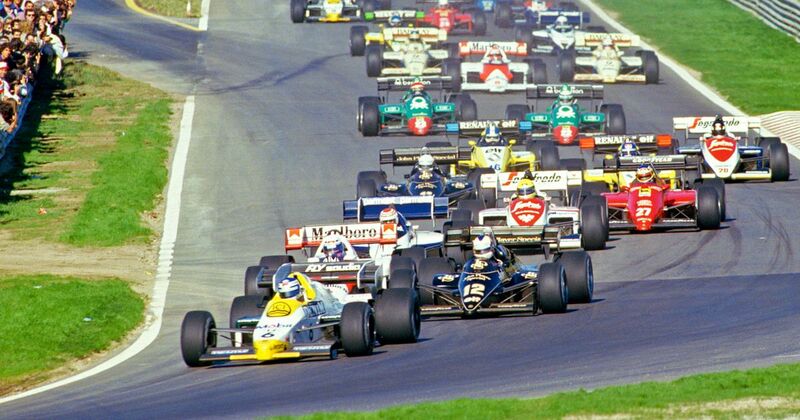 Prost quickly took the lead from the fast-starting Keke Rosberg and cruised on to victory. Lauda made slightly slower progress. Still 11th at the end of lap one, he was only seventh at one-third distance. He kept making up places and with 20 laps to go found himself in third. It looked like it might stay that way until the brakes on Nigel Mansell’s brakes failed - that handed Lauda second place and a remarkable third championship, beating Prost by just half a point. It’s also only the second time (the other being Denny Hulme in 1967) that a driver won a championship without taking a single pole position all season. Ayrton Senna joined them on the podium in his Toleman; by the end of their careers, those three drivers would have 10 titles between them. “It’s happened immediately!” In a pre-meditated move, Ayrton Senna used his McLaren as a weapon and deliberately crashed into Alain Prost’s Ferrari at the first corner, meaning he won the world championship. He made all sorts of excuses for his actions (like claiming that pole position was on the wrong side of the track) but the fact remained that he’d planned to take out another driver on purpose in order to win a championship. 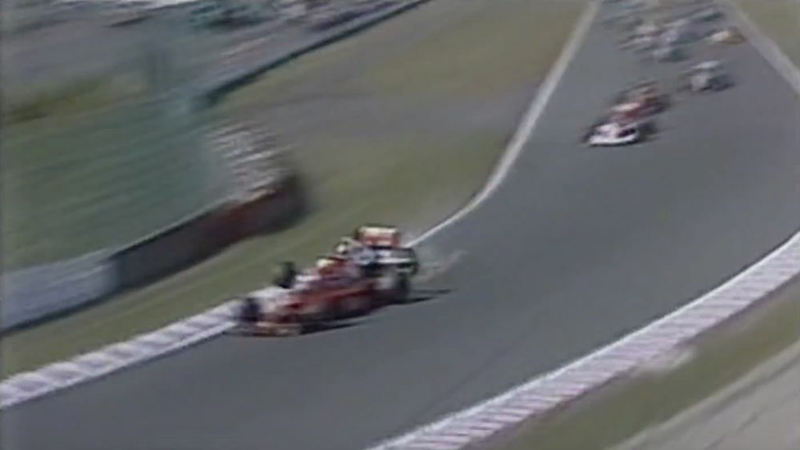 Gerhard Berger spun off on the dusty track on the next lap, and Nigel Mansell retired from the lead with gearbox issues later in the race. That handed Benetton’s Nelson Piquet his first win for over three years and ‘super sub’ Roberto Moreno followed him home in second. Aguri Suzuki completed the unusual podium by finishing third for Larrousse, becoming the first Japanese driver to finish on an F1 podium. One of the tensest championship deciders of all-time shouldn’t have been that tense. Lewis Hamilton was looking set to win the title in his rookie season before a mistake on the first lap, followed by an unusual gearbox glitch left him way down the pack. He could only recover to seventh, while teammate and title rival Fernando Alonso finished a distant third on a weekend where he managed to get an FIA steward to oversee the McLaren garage to ensure Hamilton wasn’t getting preferential treatment. That meant neither McLaren driver won the title. 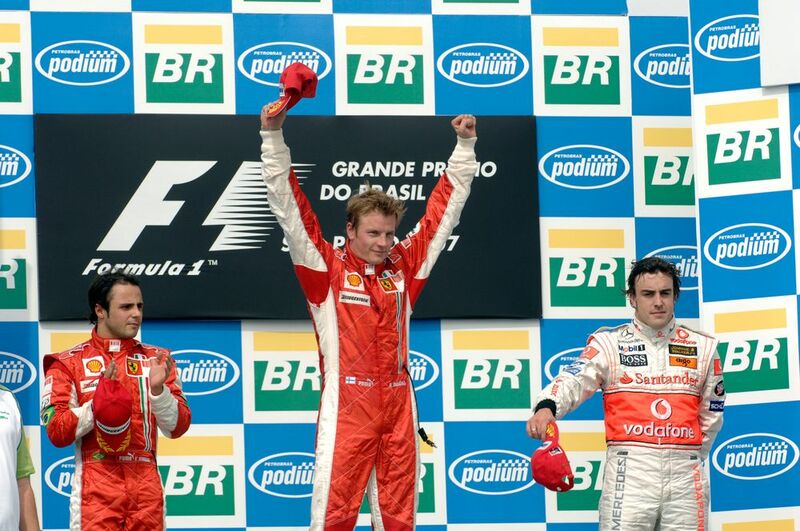 Felipe Massa played the team game brilliantly for Ferrari, driving slowly during a pit stop phase to hand the lead - and the win - of his home race to Kimi Raikkonen. That gave the Finn the world championship by a single point from Hamilton and Alonso in one of the most remarkable comebacks in F1 history - with two races to go, he was 17 points off the lead with only 20 available. Alfredo Pian (born 1912) entered the 1950 Monaco Grand Prix, but injured his legs in a qualifying crash and never managed to start this - or any other - world championship race again. Cesare Perdisa (born 1932) was only 22 when he entered his first race in 1955, which was incredibly young for the era. In his eight starts, he managed two podiums in a Maserati, although both were shared drives with more experienced drivers. He retired from racing in 1957 following the death of teammate and close friend Eugenio Castellotti.